In less than a week, Nokia will unveil the much-awaited Nokia Lumia 1520 phablet that has been leaked extensively in the past few weeks. Thanks to the rumor mill, we know every tiny details of the handset, what it will offer, its specifications and what not. It was not too long ago when Lumia 1520′s expected specifications were revealed by the folks at NPU. Now, our very own @evleaks tweeted about the possible specifications of the highly rumored phablet. We have a reason to believe him, thanks to his track record about leaking unreleased products. He didn’t tell anything new, actually, we knew almost all the specifications of the handset. According to the notorious leaker, the phablet is expected to feature a 6-inch display with a resolution of 1920 x 1080 pixels. Nokia Lumia 1520 is expected to be powered by Snapdragon 800 SoC with a clock speed with 2GB RAM. On the storage side, the handset will come with two options: 16GB and 32GB. However, earlier rumors suggest that the handset will also support expandable memory of up to 64GB. On the rear, Lumia 1520 will come with a 20MP camera with PureView technology. Lastly, the leaker suggests that the handset will be available in an array of colors including white, black and yellow. 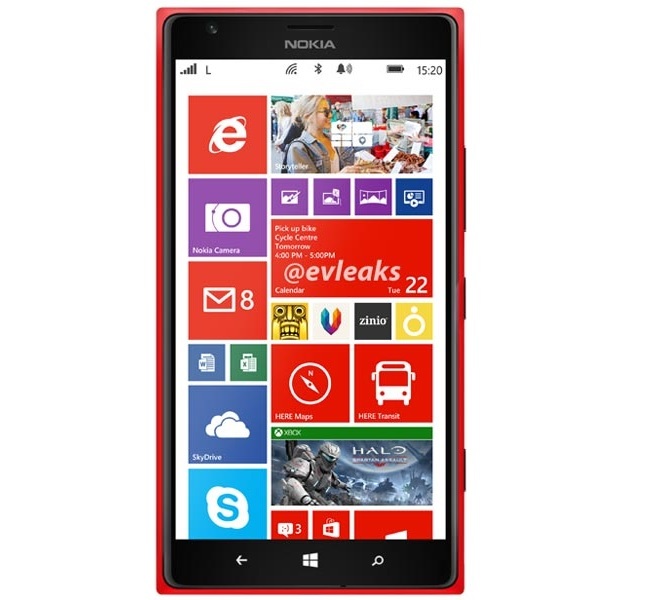 Well, if you don’t remember we’ve seen the unofficial press render of the handset in red as well. Does that mean that it was fake? We don’t know. I guess we will find out everything in a few days. Nokia is holding an event on 22nd October in Abu Dhabi where the company is expected unleash a number of devices, not just Lumia 1520.